Landfall is a 2200 acre gated golf course community with 45 championship holes, 14 tennis courts, an olympic size pool and a fitness center and clubhouses. Landfall offers one of the only private, member owned equity clubs in the South and maintains an exclusive integrity the community was built upon in 1987. Landfall includes over 2000 exclusive home sites located from the Intracoastal Waterway (directly across from Wrightsville Beach) and into Wilmington's Ogden area, with several different ponds, parks, lakes and facilities within the community. There is a vast selection of property styles and views, waterfront, pond view, golf course view and much more. This meticulously manicured luxury community is a safe and beautiful place to call home. 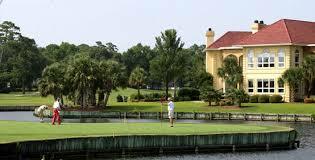 The newest listings in Landfall are below, including new home sites. Call any member of Bobby Brandon Real Estate Team today to schedule a showing.